It’s rare that corporations targeted in documentaries hire a film publicist to make sure that critics and journalists are informed of the company’s response to a film. McDonald’s didn’t work to do damage control with film writers when “Super Size Me” opened, though there were rumors it would. It’s common for industries and corporations to erect damage control mechanisms for the public. In the famous case chronicled in the New Yorker, David Koch seems to have pulled his support of WNET because they aired Alex Gibney’s “Park Avenue.” “Gasland” director Josh Fox’s follow-up to his fracking exposé makes clear the natural gas industry’s attack on his film. This weekend, indie film publicists had competing clients, when SeaWorld lashed out at Gabriela Cowperthwaite’s film “Blackfish,” the Sundance documentary that was picked up by Magnolia Pictures and CNN Films. Starting with the death of orca trainer Dawn Brancheau, “Blackfish” tells the history of SeaWorld and other like theme parks and notes the ways in which the conditions at these parks are harming the whales that are kept in them and are putting humans in danger. 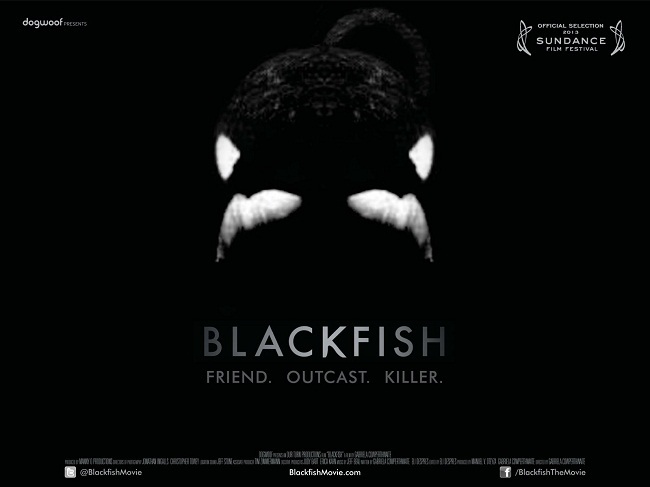 “Blackfish” opens in Los Angeles and New York this week, and it expands to other markets in subsequent weeks. It will air on CNN this fall. Below are SeaWorld’s eight assertions (which, as noted above, could have been more), and the filmmakers’ response to them. Though the situation is clearly complicated, the filmmakers rightly point out that the film often does portray some of the perspectives addressed in SeaWorld’s assertions. Potential viewers beware, SeaWorld’s assertions involve spoilers. The insinuation that SeaWorld stocks its parks with killer whales captured from the wild. In fact, SeaWorld hasn’t collected a killer whale from the wild in more than 35 years; more than 80% of the killer whales at SeaWorld were born there or in other zoological facilities. It is not transparent to us whether SeaWorld has watched the film carefully. We were very clear in the film that the majority of whales at SeaWorld parks these days are captive-born. In fact, we have a graphic showing that many of those captive-born calves are Tilikum’s offspring, the whale who has a proven track record of killing 3 people. That said, there is a whale called Morgan at a marine park in Spain which houses SeaWorld-owned whales. Morgan was caught in the wild and was placed in Loro Parque where she will be bred and perform alongside the other SeaWorld whales. The assertion that killer whales in the wild live more than twice as long as those living at SeaWorld. While research suggests that some wild killer whales can live as long as 60 or 70 years, their average lifespan is nowhere near that. Nor is it true that killer whales in captivity live only 25 to 35 years. Because we’ve been studying killer whales at places like SeaWorld for only 40 years or so, we don’t know what their lifespans might be—though we do know that SeaWorld currently has one killer whale in her late 40s and a number of others in their late 30s. In the wild, average lifespan is 30 for males, 50 for females. Their estimated maximum life span is 60-70 years for males and 80-90 years for females. In captivity, most orcas die in their teens and 20s and only a handful have made it past 35.The annual mortality or death rate for orcas is 2.5 times higher in captivity than it is in the wild. These are not controversial data. In the film, we depict what seems to be a deliberate attempt by SeaWorld to misrepresent these well documented data to their visitors. SeaWorld does not show an understanding of basic behavioral biology in this statement. It is true that social animals like orcas do have dominance hierarchies and they are maintained via behavioral interactions. The film asserts that in the wild, whales can also flee conflict. Whales at SeaWorld cannot escape from a negative social interaction and are therefore confronted with conflicts that have proven to be injurious and even fatal. Furthermore in the wild, these hierarchies are among family groups and are maintained with minimal aggression. In the wild, no orca has ever been known to seriously injure or kill another orca, inside or outside of their social group, in any interaction. Certainly minor injuries occur, and scars may remain (including nicks in dorsal fins and scratches on saddles), but no serious injury inflicted on one wild orca by another orca has ever been recorded, when observing live animals or in examining dead ones. The accusation that SeaWorld callously breaks up killer whale families. SeaWorld does everything possible to support the social structures of all marine mammals, including killer whales. It moves killer whales only when doing so is in the interest of their long-term health and welfare. And despite the misleading footage in the film, the only time it separates unweaned killer whale calves from their mothers is when the mothers have rejected them. 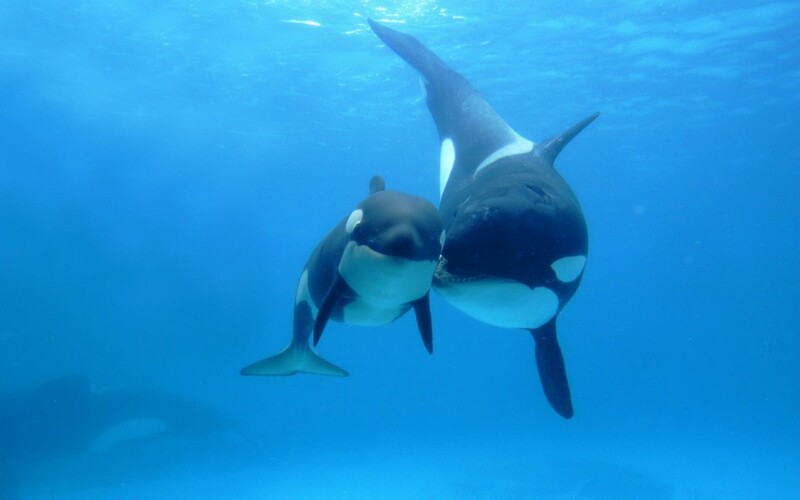 The calf-mother separations that are mentioned in the film both involve two of the most responsible and bonded mothers in SeaWorld’s collection, both of whom have had multiple calves taken from them. The separations are said to be driven primarily by introducing new breeding options to other SeaWorld parks and by fulfilling entertainment and other husbandry needs. We are surprised that SeaWorld has brought up calf rejection, an issue the film does not address and a phenomenon that is extremely rare in wild orcas. In the wild, females generally have their first calf around 13-16 years of age. Because SeaWorld has bred their females as early as 5-6 years of age, these females have not learned proper social behavior, they have not learned how to mother a calf, and may ultimately reject and injure their calves. Again, we are unsure whether SeaWorld has undertaken a careful review ofBlackfish. The film never depicts SeaWorld as using punishment. We are confident the trainers would not acquiesce to such overt tactics. Yetalthough these accounts are not depicted in the film, multiple trainers are aware of incidents where animals may be fed substandard amounts of fish before VIP shows to encourage their cooperation or where a male killer whale might be put in with a group of whales who have been previously aggressive with him in order to encourage complicit behavior. We find the claim that SeaWorld killer whales perform behaviors “within the killer whale’s natural range of behaviors,” to be false. Wild killer whales are never observed performing front flips or vertical jumps to touch objects, neither have they been observed to spin 360 degrees on land. A killer whale supporting a human who rides, “surfs”, or leaps from the animal’s rostrum does not fall within a wild killer whale’s repertoire either. These are unnatural, trained behaviors only observed in marine parks and reinforced by food. The accusation that SeaWorld trainers were not adequately informed about Tilikum. From the time Tilikum first arrived at SeaWorld, all trainers were warned—both as part of their training and in writing—that they were not allowed in the water with him. 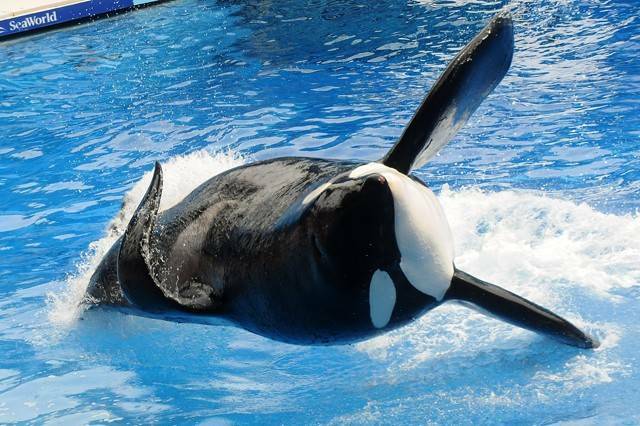 In fact, as was widely reported and covered at length in the OSHA proceedings, Tilikum has always had his own set of training protocols and only the most experienced trainers have been allowed to work with him. The film asserts that trainers were not told the details of what happened to Keltie Byrne when Tilikum arrived at SeaWorld and not told the details of what happened to Daniel Dukes at the time of his death. The details behind the reason for Tilikum’s training protocols were not adequately explained, and Tilikum was often characterized as having been “associated” with previous deaths, and was described, even in the OSHA trials as an animal who “was possessive of objects” that fell into the water. The OSHA legal counsel had to push SeaWorld to admit that these objects sometimes included humans. It is our understanding that the local law enforcement representative who claimed Dawn Brancheau slipped and fell, issued this public statement after he emerged from a private meeting with top SeaWorld officials. Video documentation exists depicting SeaWorld Animal Training staff standing directly behind him as he makes this apparent “misstatement”. We are unclear as to whether SeaWorld is accusing the Orange County Sheriff’s Office of fabricating this story. Several SeaWorld trainers to whom we spoke claim that SeaWorld management and senior management routinely and repeatedly blamed Dawn Brancheau for being too complacent. The assertion that Tilikum attacked and killed Dawn Brancheau because he was driven crazy by his years in captivity. Tilikum did not attack Dawn. All evidence indicates that Tilikum became interested in the novelty of Dawn’s ponytail in his environment and, as a result, he grabbed it and pulled her into the water. Although eye witness accounts and a video of events just prior to the take-down seem to strongly contradict the notion that Dawn was pulled in by her ponytail, it is most important to note that according to SeaWorld’s own Management during courtroom testimony, Tilikum was desensed to ponytails and therefore did not find them a novelty. The brutal nature of the prolonged, aggressive attack and the facts in the autopsy strongly suggest that Tilikum’s behavior was anything but novel curiosity. These facts were internally corroborated by senior level training staff at SeaWorld.